Maybe my experience is different from yours, but when I hear 'poplin' I expect something that feels rather crisp. This fabric is very soft. It is an absolute pleasure to hold. It is easy to work with also. As Stephanie demonstrated, the prints from this collection can be used together. 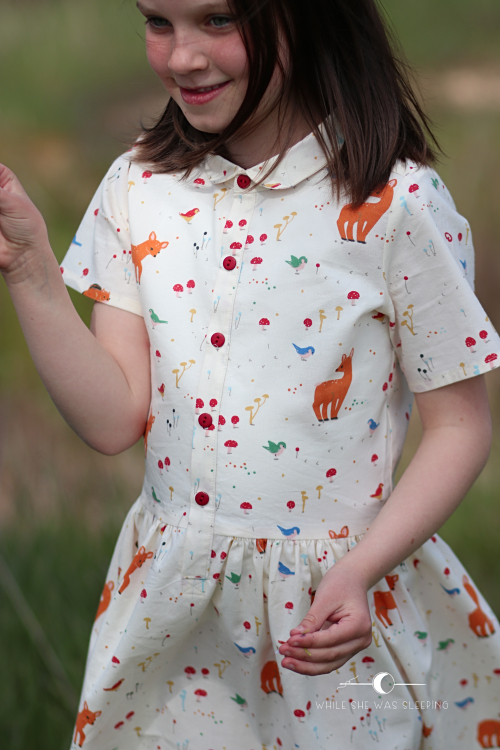 Birch also have fabric in solid colours that beautifully coordinate with the new prints. 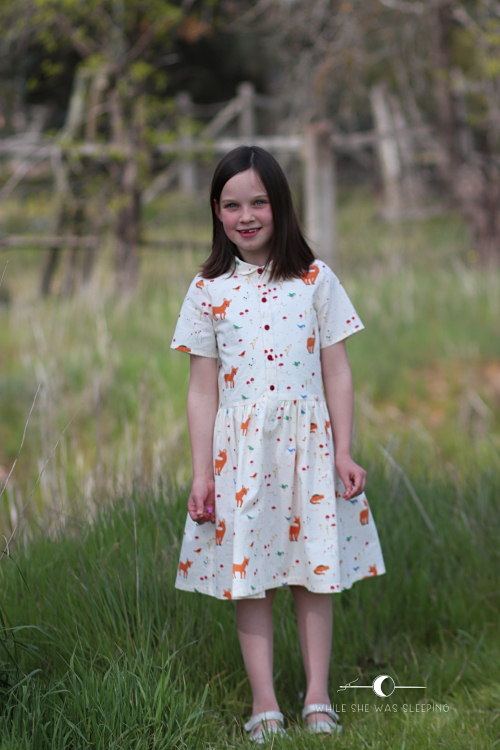 One of the blog tour participants, Marleen, made a stunning dress for her daughter using fabric in solid colours only. I contemplated adding a small accent in coordinating solid colour but then decided against it. 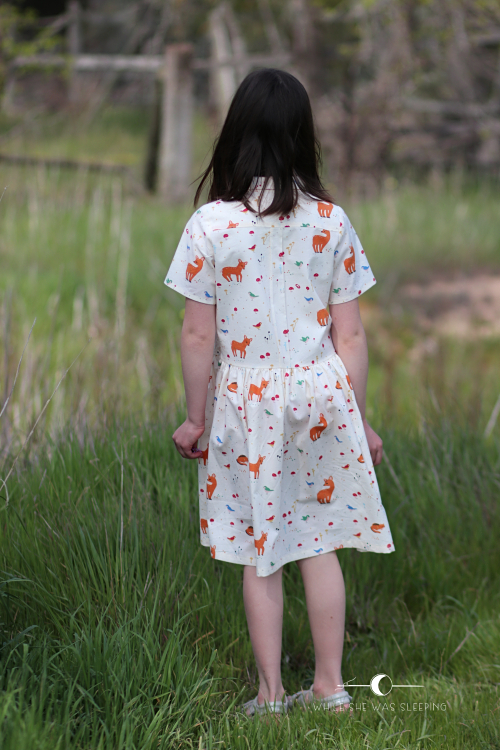 I am more of a solid colour girl, but I know my daughters prefer prints. 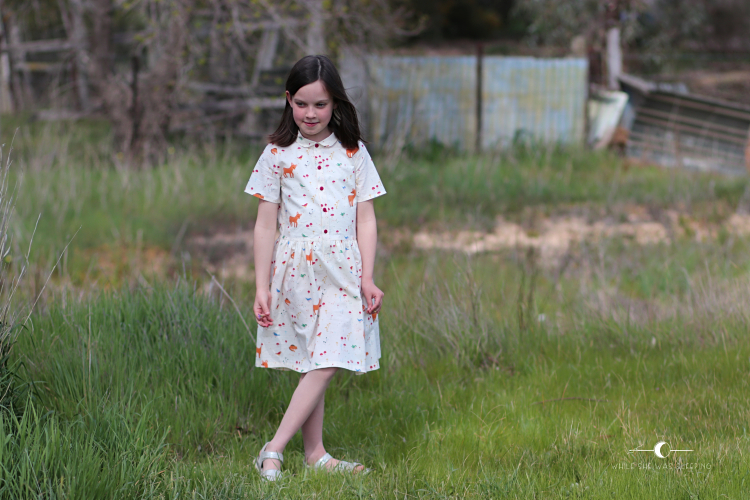 I chose the Ume dress pattern from StraightGrain to help showcase this beautiful fabric. 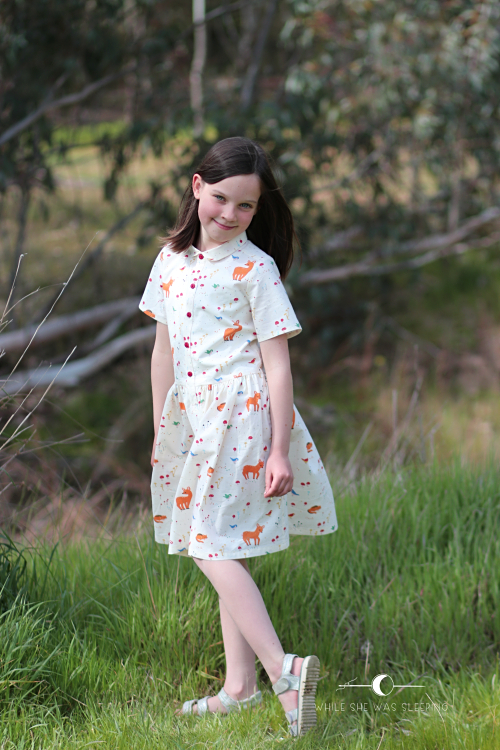 I wanted to sew this pattern since it was released a few months ago. 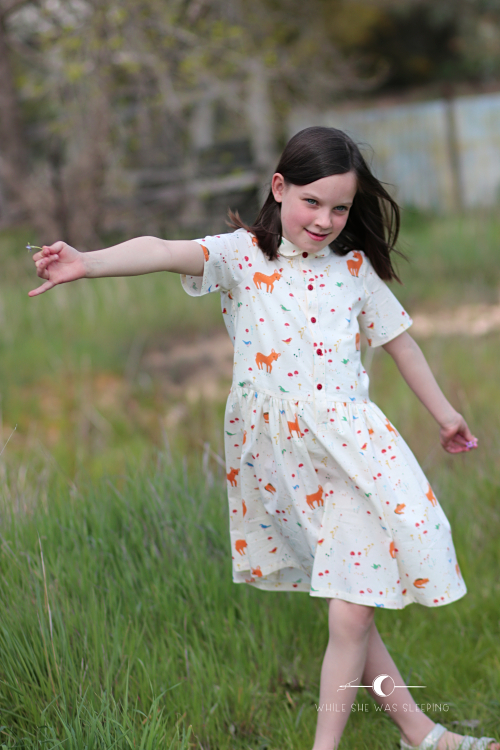 The Ume offers two types of dresses, a shirt dress or a party dress with either a popover or a classic placket, three collars, short or long sleeves and useful extras like breast or in-seam pockets and belt loops. Both of my girls enjoy a decent twirl factor, so I opted for a party dress view. 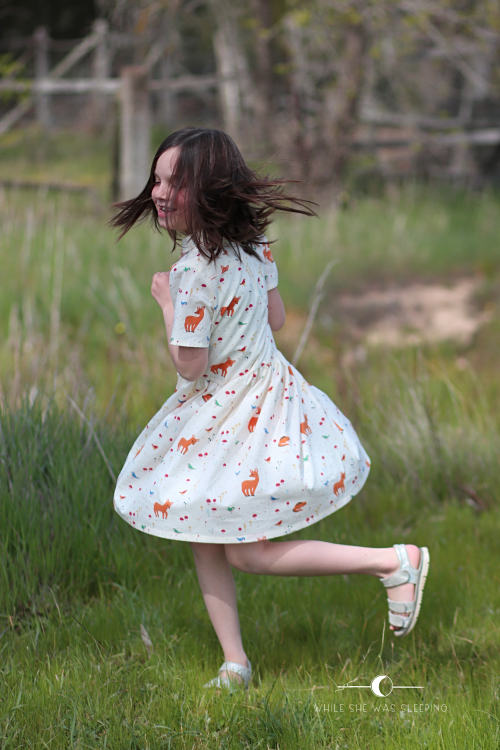 In fact, the first thing Miss R checked when she tried the dress on was the twirl factor! Obviously this dress got a tick of approval! I love button plackets. In my humble opinion they are not difficult to sew, and they make a garment look sophisticated. It is important to make note which side of the placket goes to the right and which one goes to the left. I managed to get mine confused, so the side of the placket that was cut in the fussiest way to ensure the print matched perfectly ended up at the bottom rather than on top. It was too late to fix this by the time I realised my mistake. Because of this I had to improvise with the finish of the placket at the bottom. My sincere apologies if the print mismatch on my placket hurts your eyes! This was my first time sewing a collar with a stand. I expected it to be somewhat tricky but it was actually OK. I like the back details. The way it is constructed is very clever. The dress looks very polished from the wrong wide with the yoke and shoulder seams enclosed. I lined the back of the yoke with plain cream voile. 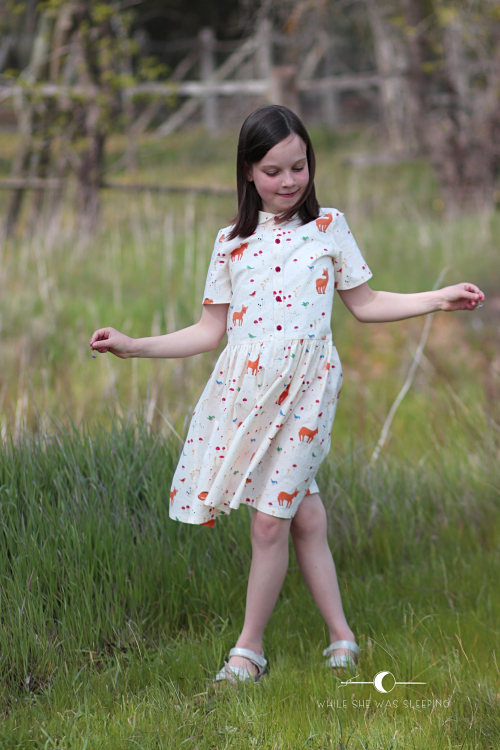 This dress is size 7 width with size 8 length, and it fits my sweet animal lover perfectly! 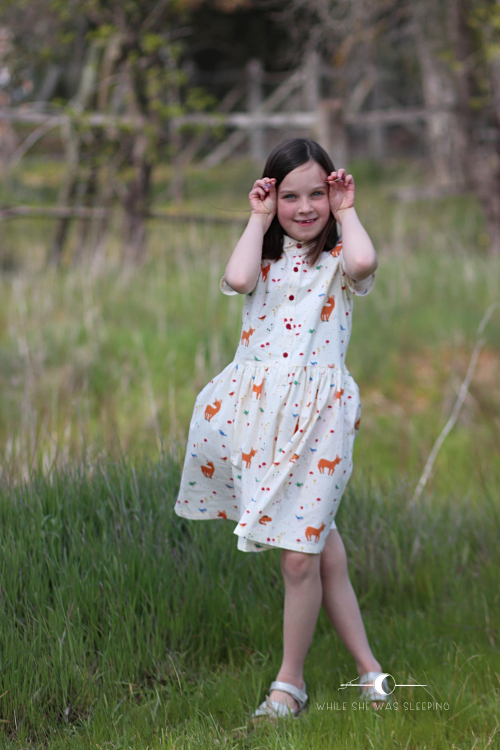 Miss R is very happy with her new dress, and so am I! 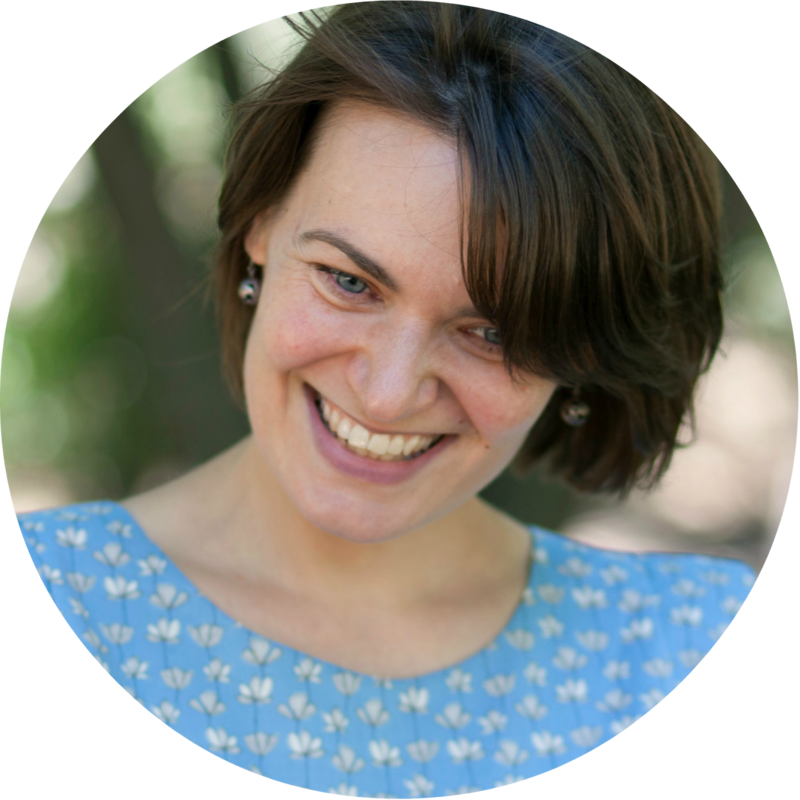 Please visit the other blog tour participants for more ideas and inspiration! Arleen and An, thank you for inviting me to be a part of this tour. 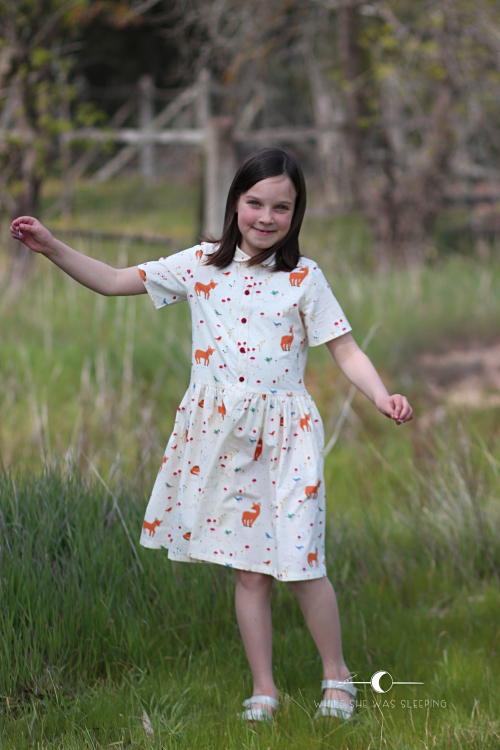 The fabric and the pattern were an absolute delight to work with! A gorgeous dress! Isabella wants to be a vet when she is older too! That is such a beautiful dress. Love the print. I definitely wouldn’t have noticed the ‘mismatched’ print on the placket. 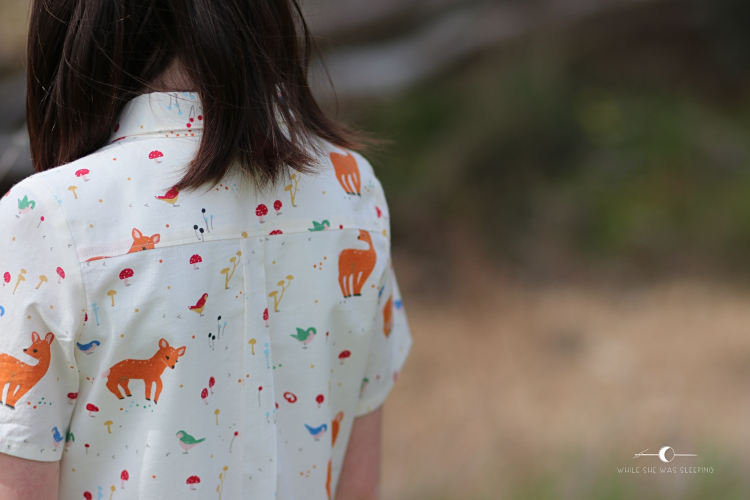 Soft poplin sounds heavenly! What a pretty dress. I don't think the placket 'mismatch' is noticeable - and I'm pretty sure I've done the same thing myself, carefully matching prints and then stuffing it up!